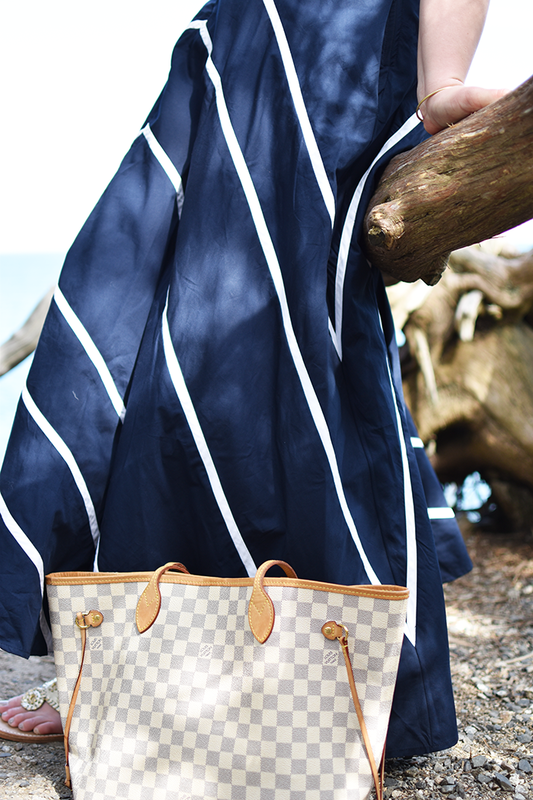 It’s officially wedding season, and with wedding season comes picking out gifts, showering the soon to be Mr. and Mrs. with love and finding the perfect wedding guest attire! I always struggle with the last one because although I would love to wear something different to each and every wedding I go to, it’s not very budget friendly. 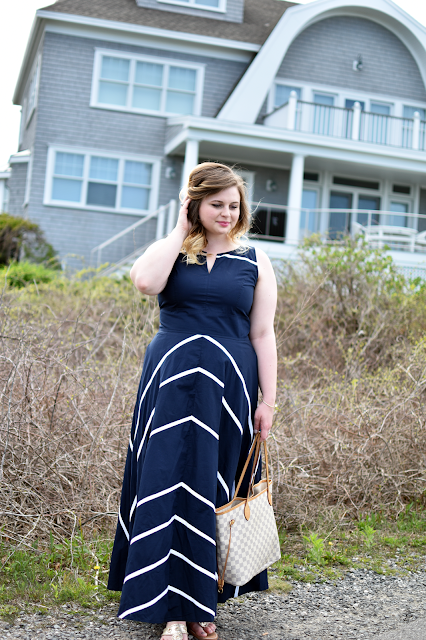 Depending on the formality of the events you’ll be attending you might need a couple of different options, but I’ve learned that a maxi dress made of the right fabric can serve you well for just about everything but a black tie wedding! 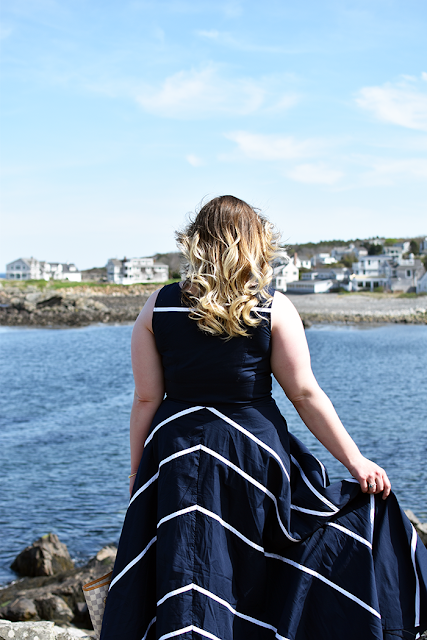 I had already been searching for the perfect summer wedding wear for a bit when eShakti reached out to me. 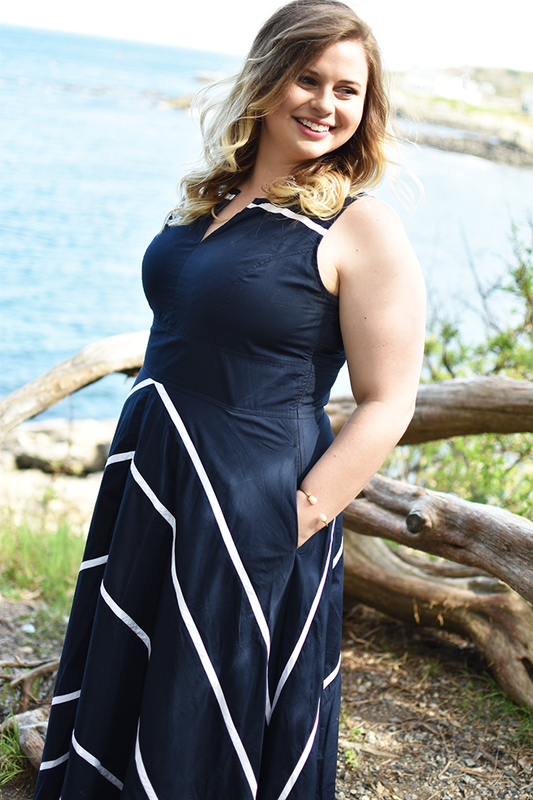 When I went to look at their site, I was blown away with how many different styles and sizes of clothing they offer. And the best part? They offer custom made clothing, which is the option I decided to go with for my dress. Although I’ve taken measurements before, I’ve never done my own, so I was pretty nervous I was going to mess something up. I was relieved when I saw that they had a guide that walked you through each one and explained exactly what they were looking for. Trust me, if Kyle and I can figure it out, anyone can! Besides my wedding dress, this dress is the only custom fitted dress I own. 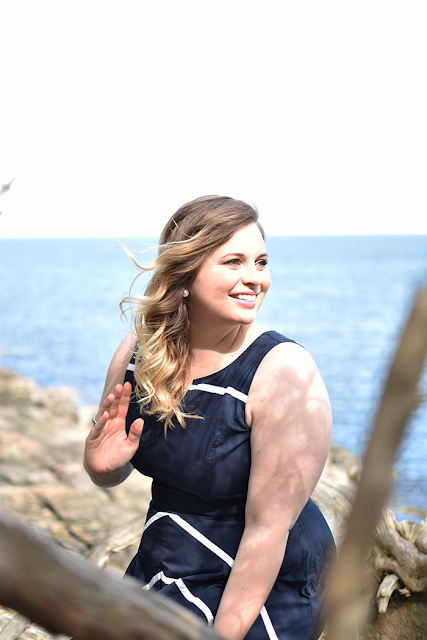 While alterations are a great option if you’ve found an amazing piece and need minor changes, I will never underestimate the power of clothing made exactly for you. When I put this on for the first time, I was shocked at how well it fit me. For once I didn’t have to pull, pin, or try to cover anything up. And when you’re going to a wedding or any other event, those are the last things you want to be doing when you’re trying to enjoy the night! 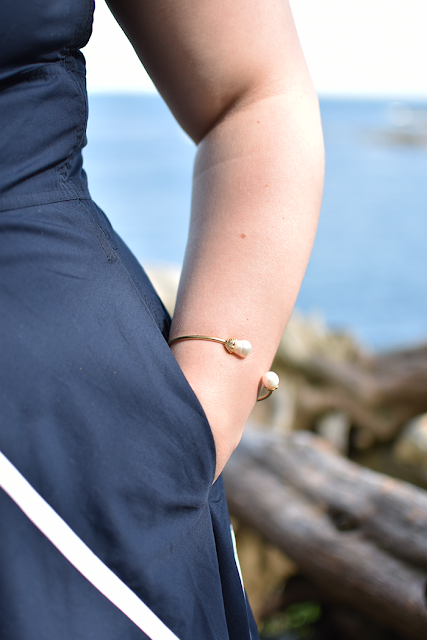 While I loved a lot of pieces from eShakti, I decided to go with this one for a few reasons. First, it’s long so I won’t have to worry about my legs getting cold when indoors – major problem during the summer! Secondly, it’s made of thicker cotton so it’s less likely to wrinkle when I have to pack it in a suitcase. And lastly, this neckline is my absolute favorite! The split boat neck adds an interesting detail without showing off too much skin. 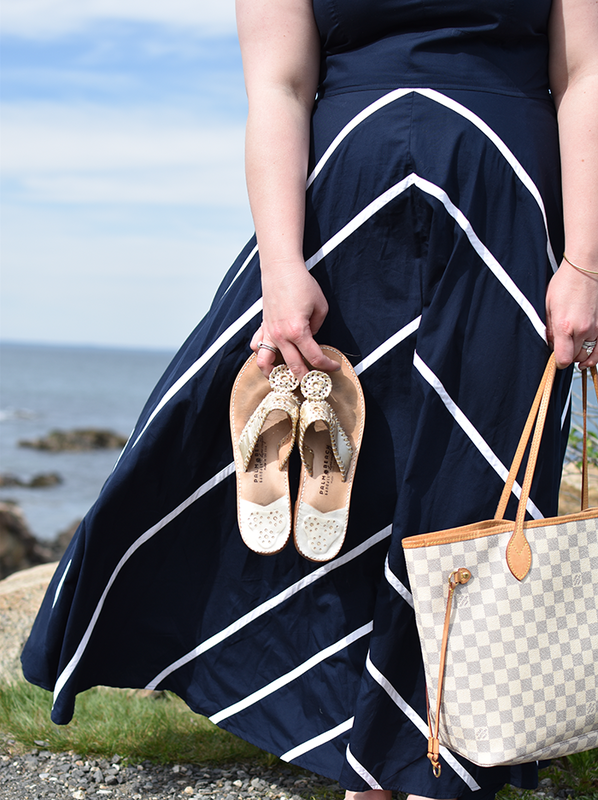 The style of dress I picked comes in a lot of different colors and patterns and while I love navy and white for summer, some of the other options were really tempting! Because they have so many different options and colors I also think these dresses would be perfect for bridesmaids or even sorority recruitment. With the customizations they offer, the possibilities really are endless! I hope you're having a fabulous week! P.S. Kyle and I shot these photos in Ogunquit, Maine on a walking path called Marginal Way. It's easily our favorite place we visited while living in New England and if you get the chance to go you should! Also, go eat a lobster roll at Barnacle Billy's - you won't regret it!